Cookie Monster is a voracious monster and one of the main characters on Sesame Street. 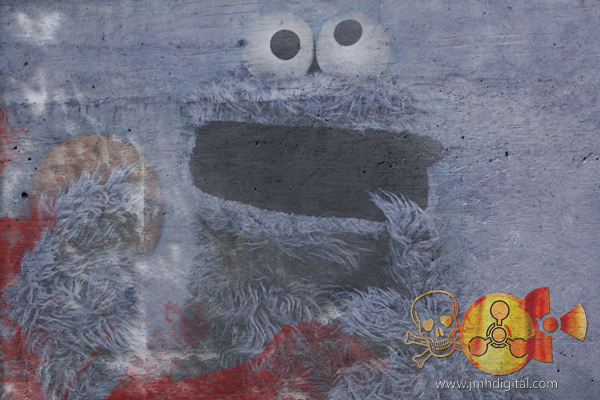 Covered with blue fur and possessing a pair of googly eyes, Cookie Monster has an insatiable appetite. As his name implies, his primary craving is cookies, but he can (and often does) consume anything and everything, from apples and pie to letters, flatware, and hubcaps. Usually when he eats something, he makes loud munching noises, usually like "OMM-nom-nom-nom..."
Cookie Monster has a deep, growly voice, and generally speaks with simplistic diction (e.g., "Me want cookie!"). He occasionally displays an unexpectedly complex vocabulary, however, and is at his most gentrified when in his Alistair Cookie persona, hosting Monsterpiece Theater. Cookie Monster was always my favorite, hinm and Oscar the Grouch. My all time favorite monster. i was totally going for the zombie cookie idea... then i major failed. 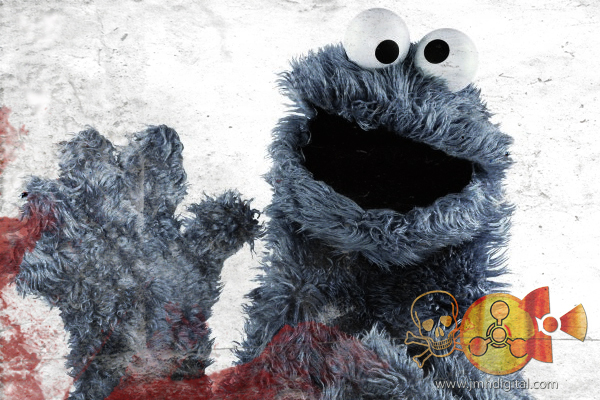 who doesn't love a good cookie monster!